In the ruins of a place one known as North America lies the nation of Panem, a shining Capitol surrounded by twelve districts. The Capitol is harsh and cruel and keeps the districts in line by forcing them all to send one boy and one girl between the ages of twelve and eighteen to participate in the annual Hunger Games, a fight to the death on live TV. 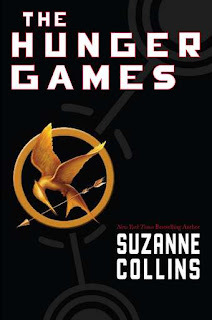 Sixteen-year-old Katniss Everdeen, who lives alone with her mother and younger sister, regards it as a death sentence when she steps forward to take her sister’s place in the Games. But Katniss has been close to death before—and survival, for her, is second nature. Without really meaning to, she becomes a contender. But if she is to win, she will have to start making choices that weigh survival against humanity and life against love. 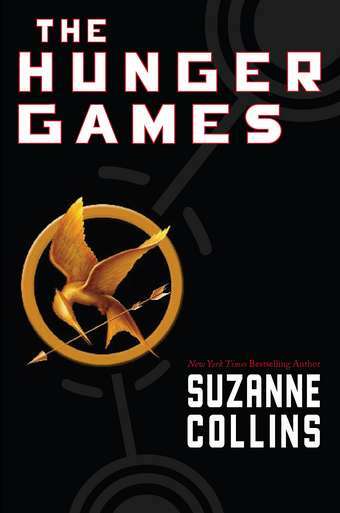 The Hunger Games is already a very well known name in the YA world, and for very good reason. It is a fantastic novel that, from the first page, draws you in. Each page holds its own adventure. The entire novel is suspense: what’s going to happen? Who will die? Even in the last few pages, I was still so caught up in what was going on. My favorite part about this book wasn’t necessarily the characters or the plot (although I LOVED both of those). It was actually the fact that, while reading it, I felt so many different emotions that it was overwhelming. When a book can actually make me feel the same way that the characters feel, that’s when I know it’s a fantastic novel. Suzanne Collins gives us no mercy with The Hunger Games. There are fights to the death, and they are gory. But that’s just yet another fantastic aspect of this book. It’s real and gritty. And Katniss. Holy crap. I bow down to her. That’s honestly all I have to say about her. Her sheer awesomeness can only be experienced through reading The Hunger Games. I couldn’t possibly begin to explain why I loved her as our main character. She is one of the toughest, most badass chicks in YA. An absolute must read for anyone. Young, old, boy, girl, whatever and whoever you are. Pick up The Hunger Games! Catching fire is just shy of being as good as the hunger games, i hope you can read it soon! Katniss is a wonderful main character. And Peeta, I so love him, even more after rereading it. You know it's a good book when reading it a second time still gives you that adrenaline rush you got the first time, this book can do that. Yay, I'm not alone in being late to read this. Though I read this back in December. I'm very glad you liked it! And yes, Katniss is VERY badass! I really loved this book, I just order the next two books that follow yesterday so I can't wait to find out how it ends. My fave part was when they were scoring her and she caught there attention by throwing that thing (I can't remember lol)at there food. So badass!